Boss pedals, gotta love ‘em. 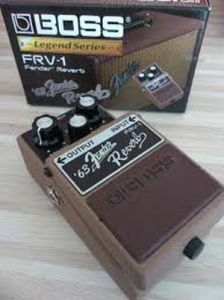 The FRV-1 aims to emulate the spring reverb found in those pricey old-school Fender amps. This reverb pedal sports three knobs: Tone, Dwell and Mixer. The tone knob is self-explanatory. The setting will be dependent on your guitar and amp setup so tweak around with this one to find the right sound. Dwell controls how long the reverberation lasts and the mixer knob controls how much of the reverb you mix into the rest of the tone. Like all Boss pedals, the FRV-1 is no exception when it comes to durability and value. It does a very good job of emulating a true Fender amp with spring reverb tank, but obviously not the same. It also has a really cool retro look (60’s baby!). The sound is a bit thin, but definitely a reverb pedal to check out. 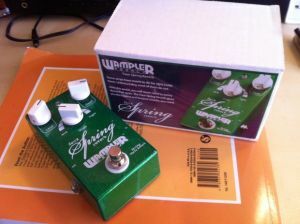 Wampler makes some sweet pedals and the Faux Spring Reverb is one of them. But catch the name. Faux. 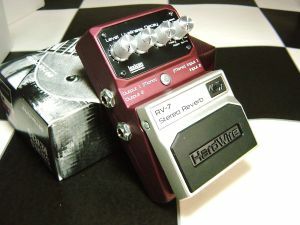 Like the FRV-1, this pedal also tries to emulate a spring reverb effect found on amps that sported a reverb tank. Overall this is a great reverb pedal, albeit a bit on the pricey side. The TonePrint Hall of Fame is a very fun pedal. This pedal is loaded with reverb options and then some. The Hall of Fame is an absolutely perfect pedal if you like to tweak out on reverb settings. Not only are there tons of options on the pedal itself, but you can also explore the vast online Toneprint library to tweak your sound to the high heavens! The three controls are Decay, FX Level and Tone. Decay, like that found in a delay pedal, will adjust how long the reverb signal will stick. The Tone knob will just how much of the reverb effect you get in your sound and the FX Level will adjust how much of the chosen reverb effects (there are 10) will be in your tone. The ten Reverb effects available on the Toneprint Hall of Fame are Tile, Ambient, Gate, Mod, Spring, Plate, Church, Hall, Room and Lofi. This true bypass pedal also sports the Toneprint technology (which is available to all the pedals in TC Electronics Toneprint series). You basically can go online and download other users settings that they have customized and load them directly your pedal via USB connection. Check this out. You can also use your smartphone to transfer toneprints. How sweet is that? If you only need one or two reverb effects, or already know what you want as an experienced player, the Toneprint may seem a bit inundating with the myriad of options. On the flip side, if you’re somebody who loves to mess around with effects this may be the perfect pedal for you. 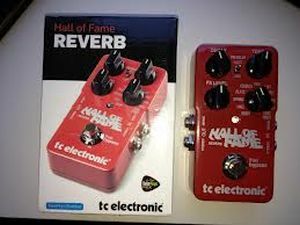 The Hall of Fame reverb pedal is very versatile, reliable and durable. It is has a rather easy learning curve to get up and going which is nice. 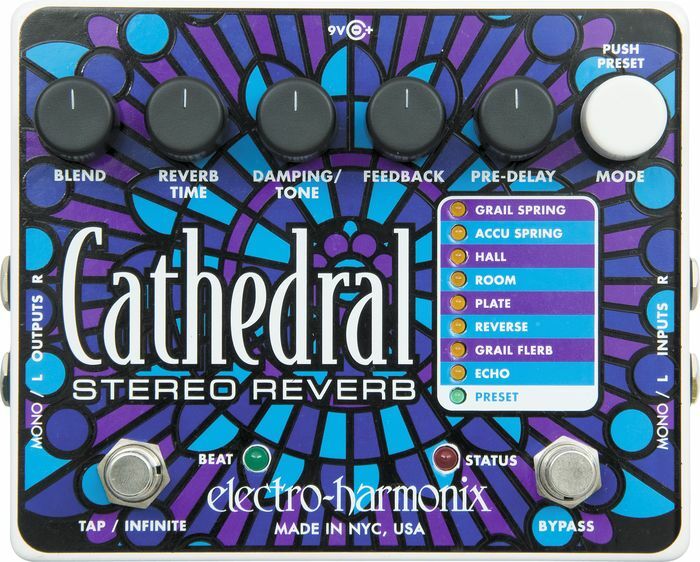 Definitely one of the best reverb pedals available on the market for the price.